Now that my external flash is not working, I have not been snapping pictures. I know you should not be using flash for food photography, but I genuinely can’t help it. I do not have space for lights and the set ups. There might be some questions in your head right now. Won’t the pictures be too bright or too harsh… etc? Well, I do not use the flare on the food itself, I simply bounce the light off the white ceiling. Although I don’t snap the best of pictures, but I guess as long I can make you feel like you want to lick your screen, I’m contented. While the Speedlite stays at Canon for a bit, I should somehow get a pair of lights in due course. I love milkshakes. You know those thick, creamy types? I don’t make it often, but whenever I do, I absolutely enjoy it, especially the milk + ice cream combo. 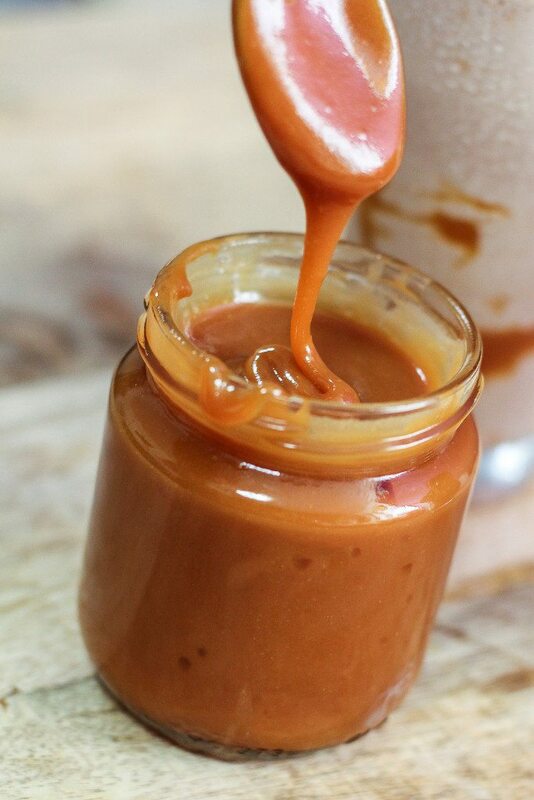 You can obviously just buy ready-made caramel sauce for convenience, but making your own is really easy and it’s very cheap too. Best of all, you can curb the quantity of sugar in the caramel. 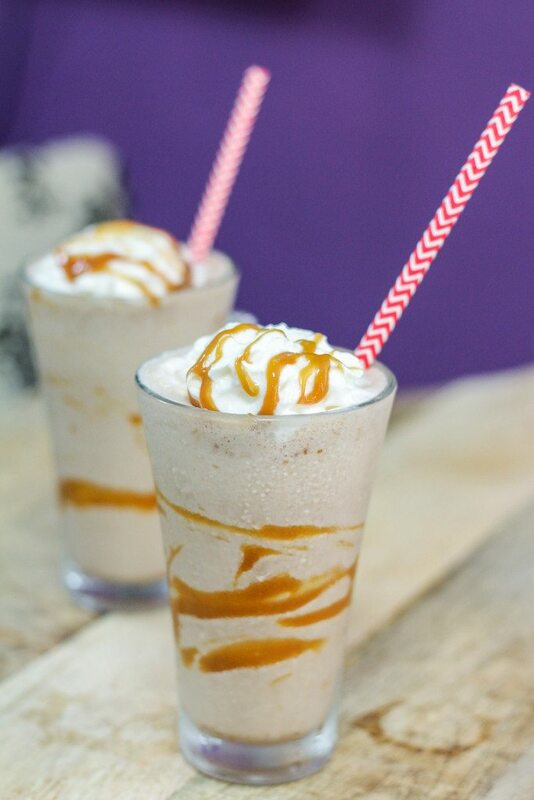 I blended milk + ice cream + caramel for this milkshake and drizzled the caramel all around the glass. I finished it off with a touch of whipped cream and a little more caramel. Wouldn’t it be awesome if this was some kinda health drink? I would sip this all day long man! 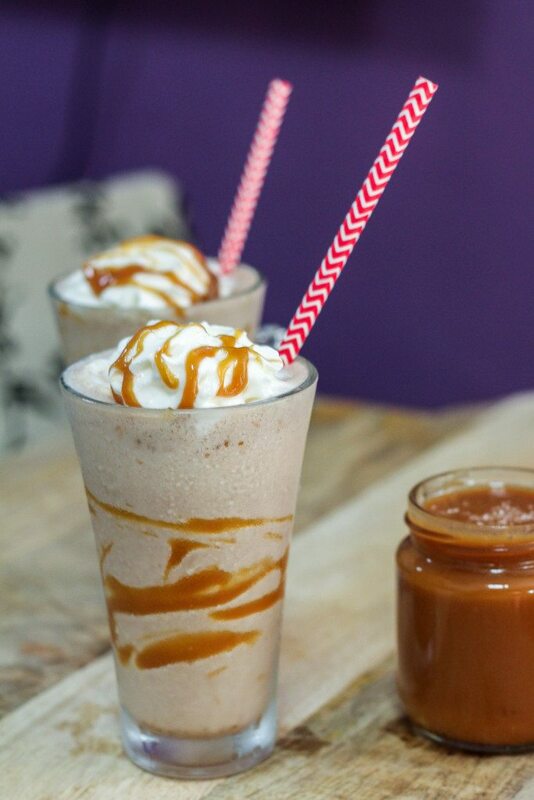 Do give this salted caramel milkshake a try people. 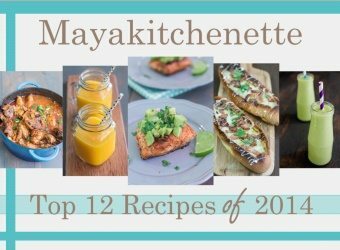 It’s creamy, It’s sweet, a little salty, and oh SO yummy! I mean, can you really go wrong with homemade salted caramel?! This is the perfect pick-me-up that would rejuvenate and ease you through three more days of the weekdays before you can officially say TGIF! 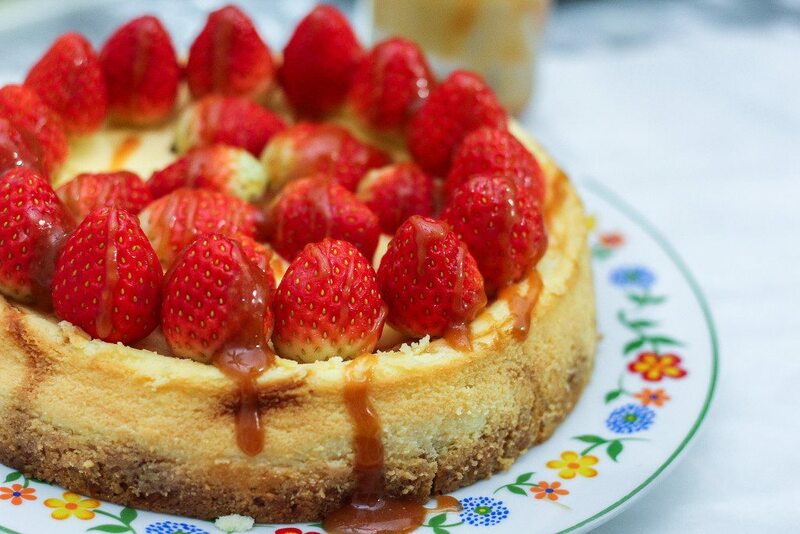 Place ice cream, milk, caramel sauce till smooth and creamy. Drizzle 3 glasses with some caramel sauce. 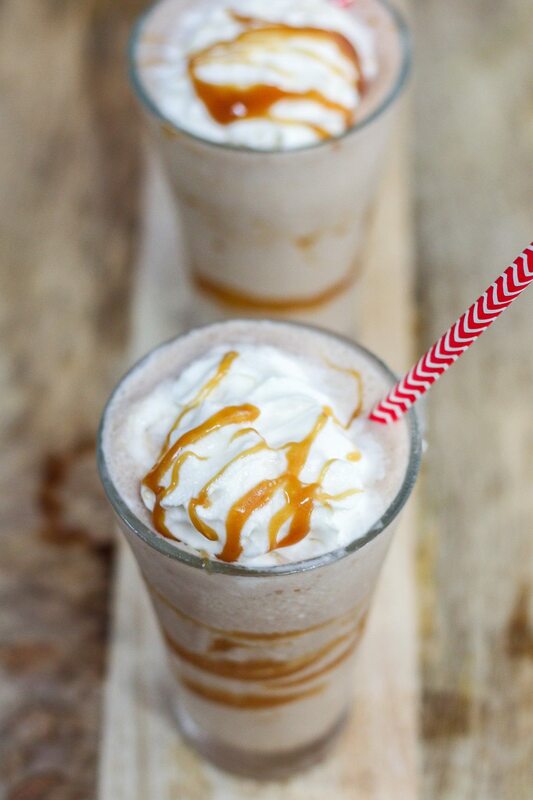 Pour the milkshake into the glasses and top with whipped cream and drizzles of caramel sauce.